Geneva (Switzerland) – October 25, 2017 (travelindex.com) – The International Air Transport Association (IATA) expects 7.8 billion passengers to travel in 2036, a near doubling of the 4 billion air travelers expected to fly this year. 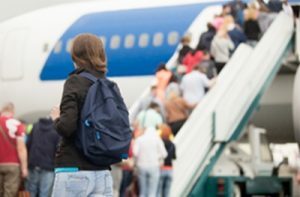 The prediction is based on a 3.6% average Compound Annual Growth Rate (CAGR) noted in the release of the latest update to the association’s 20-Year Air Passenger Forecast. The aviation industry has adopted a robust strategy to reduce its environmental impacts, particularly its carbon emissions. “No industry has done more to meet its environmental obligations than aviation. Our tough targets to achieve carbon-neutral growth from 2020 and to cut our CO2 emissions to half-2005 levels by 2050 are backed by a comprehensive strategy. Our immediate aims are to work with governments to increase the production of sustainable aviation fuels, and to deliver air traffic management efficiencies, which promise significant emissions savings. And from 2020, a Carbon Offsetting and Reduction Scheme for International Aviation (CORSIA) will play a major role in meeting our carbon-neutral target,” said de Juniac. – Turkey (119 million new passengers for a total of 196 million). – Routes to, from and within Asia-Pacific will see an extra 2.1 billion annual passengers by 2036, for an overall market size of 3.5 billion. Its annual average growth rate of 4.6% will be the third-highest, behind Africa and the Middle East. – The North American region will grow by 2.3% annually and in 2036 will carry a total of 1.2 billion passengers, an additional 452 million passengers per year. – Europe will also grow at 2.3%, and will add an additional 550 million passengers a year. The total market will be 1.5 billion passengers. – Latin American markets will grow by 4.2%, serving a total of 757 million passengers, an additional 421 million passengers annually compared to today. – The Middle East will grow strongly (5.0%) and will see an extra 322 million passengers a year on routes to, from and within the region by 2036. The total market size will be 517 million passengers. – Africa will grow by 5.9%. By 2036 it will see an extra 274 million passengers a year for a total market of 400 million passengers.